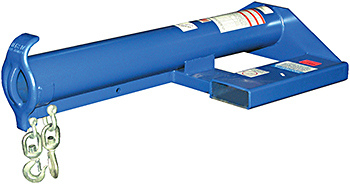 Forklift Booms attach to a forklift for the purpose of raising and transporting items that require lifting from an overhead position. They are a cost effective and simple to add piece of equipment. 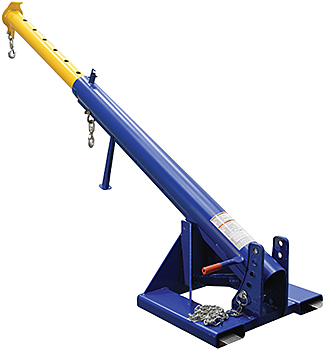 HOF Equipment Company carries telescoping forklift booms and non-telescoping forklift booms. 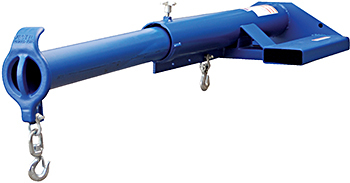 Telescoping booms are adjustable in length allowing for larger and longer loads to be handled. Boom lift capacity ranges from 4,000 lbs to 8,000 lbs. 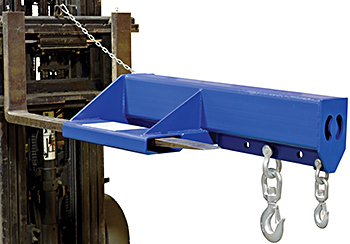 Our selection includes specialty booms such as shorty forklift booms, orbital fork lift booms, and high rise forklift booms that allow for the handling of various load types and lifting heights. 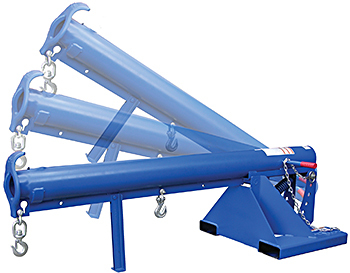 Whether you're looking for a standard fork truck boom or a specialty boom HOF Equipment carries a massive selection to meet your needs at very reasonable prices. 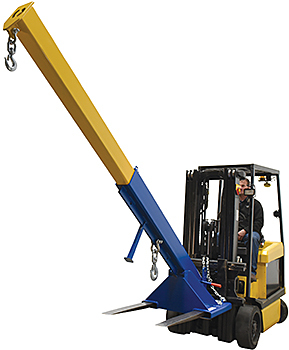 If you would like help in selecting a forklift boom attachment give us a call today!